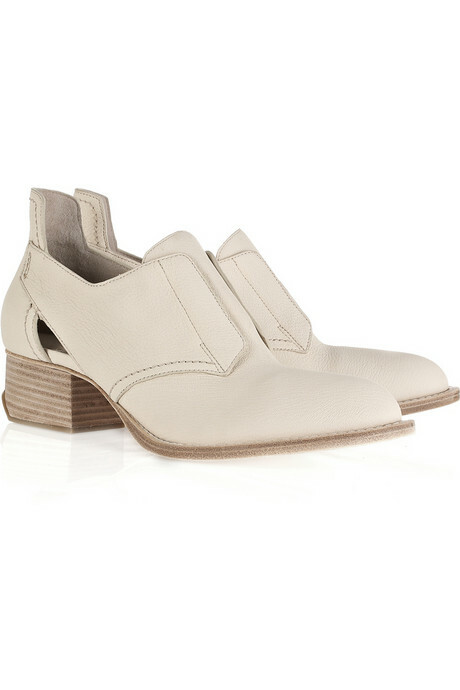 Heel measures approximately 40mm/ 1.5 inches.Alexander Wang's eggshell textured leather shoes are a directional update of the classic Oxford design. Wear them as part of a modern office look with a tailored jacket and studded bangle. Shown here with a Burberry bracelet, 3.1 Phillip Lim top, Stella McCartney blazer, Reed Krakoff bag and a Kara Ross ring. Hope your Valentine's Day was a blast!